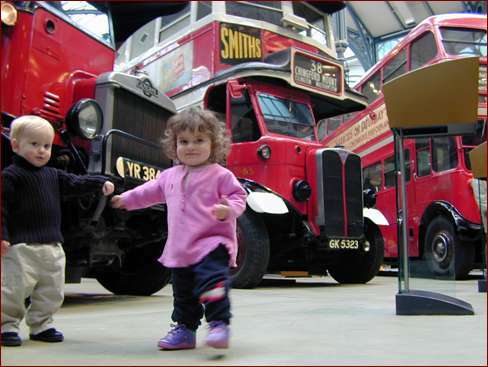 It's really cold outside, and the girls have already gone into London's Transport Museum, shown here. When Isaac and I are finished eating we join them. 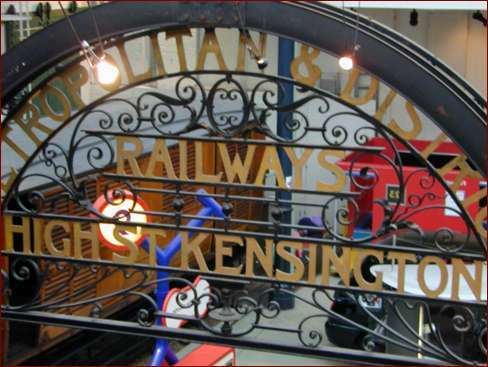 We love the museum; we visited it on our last trip and made a mental note to come back. Isaac liked it then, and is ga-ga over it this time. Even Lila is wildly enthusiastic. I buy the annual pass (equal to two visits) so we have the freedom to come and go -- indoor events are at a premium during a winter visit. Here Lila is stamping around the exhibit floor with her new friend Ian, the son of an expatriate mother. They've been desperately looking for some warm indoor playspace. 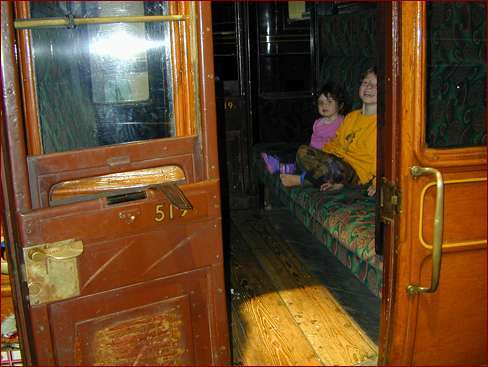 Here Isaac and Lila play in a restored train carriage. Isaac was doing a great job of sheparding and protecting his baby sister, despite feeling a bit under the weather himself. 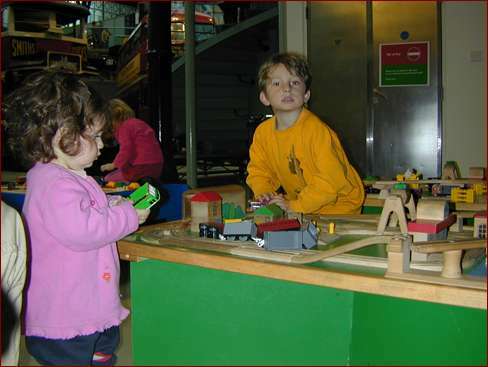 In the back of the museum there is a infant and toddler playspace, including three or four train tables. The kids are loving playing with these, especially as they can run back to the full-size buses, trains, and subway cars. We play for a few hours, before eating and going home. We sleep well, and long, which was necessary. Rose won't be feeling her best, but Isaac and I will be needing a proper British breakfast before heading out to Marks & Spencers.